This is a dice that you may use in lots of activities. I made it as an optional dice to play with DAILY ROUTINE SNAKES AND LADDERS that I have also uploaded. Students should make a sentence with the pronoun they get and the correct form in the simple present of the verb that appears on the square they landed on. The present downloadable printable was created for elementary school students at Beginner (pre-A1) and Elementary (A1) level. 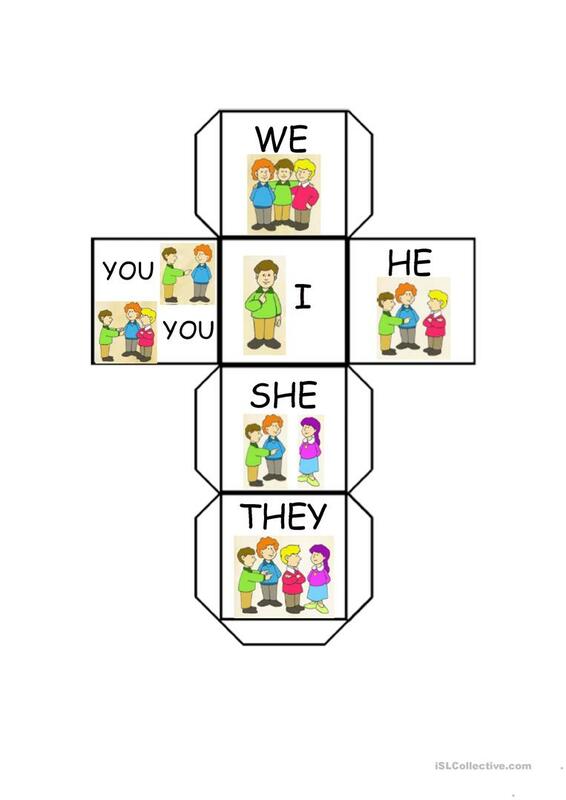 It is aimed at consolidating Personal pronouns, Present simple tense and Present simple tense: S for third person singular verbs in English, and is excellent for enhancing your learners' Speaking and Reading skills. It centers around the topic and words of Daily routines. mewi is from/lives in Argentina and has been a member of iSLCollective since 2012-07-03 18:28:41. mewi last logged in on 2019-04-19 00:10:23, and has shared 37 resources on iSLCollective so far.